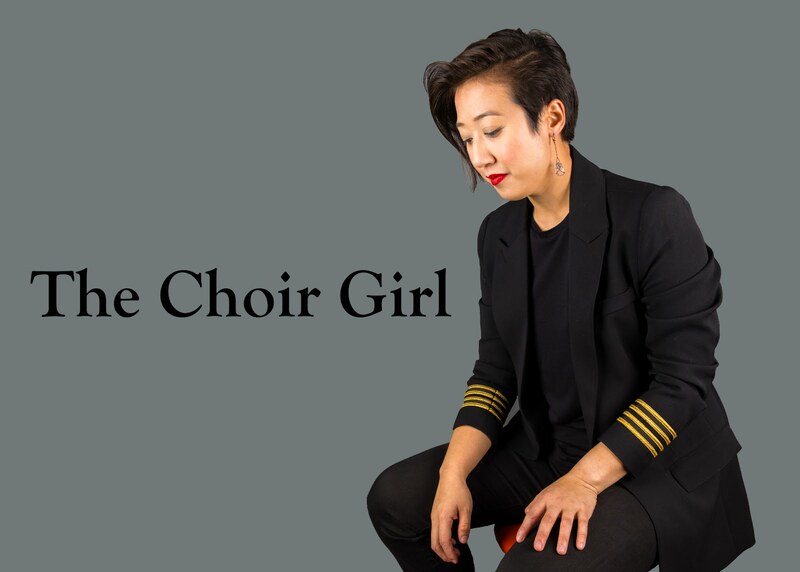 As the start of my first rehearsal approaches, I am filled with thoughts about the upcoming choral season and what I have in store for myself. Although it is not the start of the new year, it feels like a fresh year as I brace myself for a new school and choir season. I start to think about anything and everything related to music and one thing I have been contemplating is conductor styles within a choir. Throughout the years, I have had the experience to work with a variety of conductors, everyone with their own particular style and expectations, but it made me wonder... what am I looking for in a conductor? My first conductor in Junior Choir had a nurturing and motherly nature, which was excellent for easing myself into this new musical artform; however, my demands in a conductor began to change as my skill level progressed. After intermediate choir, I entered Chamber Choir and this, by far, was my first intense choral group. Suddenly, I was placed with singers who had undergone a slightly more selective screening process and I was filled with a sense of prestige. However, this is soon cut down as I began to realize that my conductor had high demands for herself as well as her choir. I do not want to make her into some dictatorial entity but, at times, that was what she was like to me... and I absolutely thrived upon it! I wanted somebody telling me when things did not sound correct and her furrowed brow and slightly killer glare would scare even the most passive chorister. This, in turn, caused me to become extremely impatient and intolerant of choristers who did not have the same high standards I had for myself and the choir. These choristers are everywhere, perhaps singers who were forced into choir by their parents or choristers who are only singing for easy credit. I have no patience for these types of singers. They bring down the energy of the choral group! There is so much potential in every single singer that it is frustrating to hear them not utilizing their talents. One of the things that makes any ensemble succeed is the determination and commitment of every single member. This is even more of challenge within a choir since you are often working with a large group of people. Coordinating 5 members to commit is one thing but making 35 singers commit is another challenge entirely. A demanding conductor ensures that every chorister is giving their very best. If singers are not committed to the choir, it does not make sense that the other choristers in the group should suffer as well. I think my pleasure in having somebody demand so much from me is also due in part to my upbringing. My childhood was filled with critique rather than praise. I always knew that if my parents were quiet, I was doing something correctly; however, if I ever stepped out of line, I would experience, how I like to put it, the "Asian smack-down," whether that be verbal or physical :) Don't get me wrong, I'm in no way bitter about my upbringing, it is actually quite funny to me now as I understand the love behind all the actions, but this transferred to choir since I was happy with critique. My conductor's high demands allowed us to win numerous awards and that reinforcement only increased my competitive nature. Of course, as I grew older, priorities in my life changed as well and life changes also caused my choir conductor slacken her iron fist as well. The thing I enjoy most about Belle Canto right now is that all the women in it are extremely dedicated to singing but they also have other lives as well. We try as much as we can to coordinate all our schedules and, while it is frustrating at times, there are climatic musical moments that I have felt while singing with them. When I was younger, I had so much more time to dedicate to my obsessive need for choral perfection; however, this has changed. As much as I love choir... it is not my career. It is my hobby. I find I enjoy it more this way because I do not rely on choral singing to support me financially. I also find that once money is added into an equation, my feelings towards something change. While I still secretly thrive for the need for a conductor to be demanding and somewhat dictatorial, I am glad that my conductor is able to cater her style to suit the style of each particular group. I think that's what's most important: adaptation. Every group has different needs; thus, different approaches must be used. For younger groups, a more exploratory strategy for musical learning is suitable, and as you have a more concentrated group of skilled singers, it is appropriate to have higher musical demands. I encourage you to evaluate what musical teaching style you respond most to. I would love to hear your thoughts in the comment section below! I have a wonderful chorus director, Michael Gellert, who has conducted the Harbor City Music Company Show Chorus for over 15 years. He is very technical and provides top notch vocal technique instruction to 55 women every week. Given that our show chorus is a "hobby" for most of us (we are a Sweet Adelines chorus), he has his hands full with a lot of women who come in not at all trained in vocal music. But he does a great job of providing consistent instruction week after week. We are one of the best educated choruses in the Sweet Adelines organization. I also sing in a quartet, and we have used Michael to coach us privately in that setting. In the smaller setting he is much more attuned to the individual needs, and can tailor his style accordingly. Across the country and around the world in Sweet Adelines there are directors of all sorts - the friends, the dictators, the fussy ones, the artistic ones, the highly technical ones, etc. I have a choice of at least 5 other choruses just in the Baltimore region that I could belong to - but I stay with HCMC because of Michael. I have gone through a few different teachers throughout the years. One in particular, he is currently my private composition teacher, brought fourth the best teaching advice I have ever heard. That advice was to count all your students hits and disregard their misses. What he figures is that if he tells his student what they are doing right as opposed to complaining over every mistake, it will encourage them to continue whatever it is they're learning. Also, since they are becoming aware of what they are doing right, they will continue to do it right while their bad habits fade eventually. It's quite ingenious, actually! I plan on teaching choir in high school for a year or two later on in my adult life. To know how this teaching style can benefit the student will most definitely allow me to grow as a teacher! I know this because I am the student right now. I am living proof that it does work and I am more driven to succeed than ever! It doesn't just apply to composition, too. It can work for any type of learning, I'm sure. love reading your thots. i'm a conductor for church in Malaysia, with lots to learn. cheers! I too love having someone tell me when a piece sounds a little off. This is mostly because of my first choral director in high school, who was very demanding and very technical. The kind of people who give you honest feedback are the ones who help you improve. At the same time, though, my preference in a director depends on his or her ability to make a group or an individual feel like they are doing well. One who is able to be very demanding, and yet ensure that the rehearsal is a secure place in which mistakes are tolerated if you are putting forth your best effort. Boy, is that ever true about money in the equation changing your feelings! I confess I didn't enjoy playing the organ nearly as much when I not only did it for money, but had to do it under rectors (and occasionally choir directors) I disliked. Now that I'm retired and only play as an associate substitute to the principal organist and am basically not answerable to anyone but him, I love it again. hi ate, you were a member of the madrigal singers? wow, i just came back from their concert awhile ago and it was amazing. even now, im actually swaying to the latest CD.. i love it. I always hope for a sense of humor in a choir director, but also an expectation that we will give our best. It takes such patience, especially with a group of 30 or more, in a college setting, with singers who can't sightread. The last group I was in was a jazz choir and it was wonderful fun! I even got to do some solos! I'm in an unusual choir now: I live in Mexico, and my Spanish teacher, who also teaches me how to sing in Spanish, invited me to join her church choir. We sang last fall for feast days and then did Christmas Eve/Christmas Day, two performances each. There are only 10 singers, only the two tenors are really competent, and nobody can be counted on to show up, but they are doing music they've done many times before in most cases, so they're far ahead of me. Being neither Catholic nor Mexican, it's all a challenge, but I'm really enjoying it. This comment is in no relation to this blog post, but, i would just like to say that this is such an original blog and i have just read your 2nd post on your first day at choir, and i have concluded that you are such a great writer! I have a passion for music and i think your blog is great! wow great unusual blog! love it! hmm..i suppose you're a really good singer..uh..chorister? (is that what you call it?) well, actually i have less interest in choral singing for i do not have uh, that kind of beautiful voice which suits for that type of singing. hahaha. but i love music so much that i am willing to explore every bit of it. right now me and several youth in our place are on the stage of recruiting members for a choral (well, we are going to have a presentation to the seminary and our seminarian-friend is gladly sharing us his enthusiasm in the boys' choir where he belong.(^_^).) i have difficult times in asking for some friends to join since we are not that talented in the same field. haha! in other words, we don't have knowledge about the thing. well, i hope i could get some helpful tips from your blog as you share your experiences in choir. Hello ChoirGirl :-) I just discovered your great blog about choir music and thought you might want to add the Choeur Les Rhapsodes, Quebec City to your list of links (www.lesrhapsodes.com). Keep on the good posts! Have a great day! Hey choir girl, you have a nice blog here. Love the dept in your writing. Best of luck and hear from you soon. I have been a constant victim of the "Asian Smackdown", but I use to say that my parents have the "Asian Parent Syndrome". I've been in choir classes since kindergarten, up until it was cancelled from my high school after my sophomore year. I love singing, but I sing from the heart and have little to none formal lessons. I feel like I do well with karaoke, performances,and etc... but I want to be able to truly sing, hitting notes perfectly with the right breathing. I want someone with a trained ear to tell me what to do, and to evaluate my singing, and I miss warming up before beginning to sing. I remember how great it was to audition for a solo and get it! To hit a high note and to hear this beautiful harmony I was a part of while it gave me goosebumps. It definitely helped me stick to school in our urban setting where drugs, gangs, shootings, and stds were prevalent. It is just too bad that they have taken music away from the schools here, I am very confident it saved a few lives at my school. I prefer a choir director who demands excellence rather than one who settles for "good enough." I sing in choirs in order to learn and to improve my voice, so I want the director to tell me when I've made a mistake and how I can correct it.